As researchers conduct the most rigorous human trials of cardiac cell therapies yet attempted, a clear picture of whether these treatments actually work is imminent. For the better part of an hour, the catheterization lab at Cedars-Sinai Medical Center in Beverly Hills bustles like a restaurant kitchen on a Friday night. Nurses pivot carefully around a table laden with sterile instruments while a trio of physicians fusses over a catheter inserted into the groin of cardiac patient Ken Anderson. On a large screen next to his bed, the video feed from a tiny camera at the tip of the catheter shows the tube passing through Anderson’s vasculature into a coronary artery. Amidst the hubbub, only the patient is still, occasionally answering questions from a nurse about his level of comfort. All at once, everything stops. The nurses stand still; the doctors stop chatting; all eyes turn to the image of Anderson’s beating heart. Michelle Domingo, the study coordinator for the experimental cell therapy Anderson is about to receive, counts down from five, then shouts: “Inject!” For the next five minutes a doctor very, very slowly presses the plunger on a syringe hooked up to the catheter, sending 10 mL of solution and millions of stem cells into Anderson’s heart. Some anticipate that the results of ongoing Phase 3 trials will finally provide definitive evidence supporting the efficacy of cell therapies for the heart. On the other hand, negative results could spell the end of the approach altogether. The cardiac-derived progenitor cells Anderson received are in the earliest phases of human testing. But the cells used in the therapies that are now moving into Phase 3 trials all originate in the bone marrow, and include mesenchymal stem cells as well as other cell types. (See illustration.) 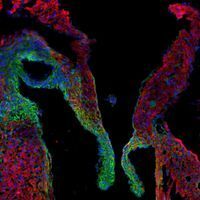 The idea to pluck cells from a person’s bone marrow and shoot them into the heart took root in 2001, when Piero Anversa’s group, then at New York Medical College, showed that doing so in mice could help regenerate damaged heart tissue.1 Within just a few months, patients in Germany were undergoing the procedure. “It was an example of very, very rapid translation of something that was an animal finding into clinical trials,” says Jalees Rehman, a regeneration researcher at the University of Illinois at Chicago College of Medicine. Many scientists now believe that the introduced cells perform a paracrine function, signaling the activation of reparative pathways via growth factors or other secreted messengers. On its own, the heart regenerates about one percent of its tissue per year via the division of cardiomyocytes; perhaps cell therapies simply boost that normal behavior. “The mechanism is still unclear,” says cardiologist Roberto Bolli of the University of Louisville. The three ongoing Phase 3 trials involve cells extracted from bone marrow—each treatment comprising its own particular cellular concoction. In the “BAMI” study, currently recruiting subjects in Europe, patients who have suffered a heart attack will receive an autologous mixture of various bone marrow cells, called mononuclear cells. Congestive heart failure patients enrolling in the congestive heart failure cardiopoietic regenerative therapy (CHART)-1 study in Europe and Israel will receive mesenchymal stem cells derived from their bone marrow. And in another congestive heart failure study in the U.S. and Canada, patients will receive mesenchymal precursor cells derived from the bone marrow of donors. These studies are the most scientifically rigorous human experiments to date in the field of cardiac cell therapy. The BAMI trial is the simplest of the three, with mononuclear cells extracted from the bone marrow delivered directly into the heart with no manipulation. Investigators will measure whether patients randomly assigned to receive the cell therapy have a reduced chance of dying over the next two years than patients receiving a placebo. “We have a high bar” for judging success, says Mathur, one that’s designed to put an end to questions about whether or not the therapy works. One of the criticisms of the BAMI approach is that the cellular mixture administered to patients contains very few stem cells and a slew of other cell types, including lymphocytes and monocytes. In the CHART-1 trial, based on the work of Andre Terzic at the Mayo Clinic in Rochester, Minnesota, mesenchymal stem cells are isolated from the patient’s bone marrow cell mixture, then bathed in a cocktail of growth factors and cytokines to “preemptively upgrade the regenerative capacity” of the cells, says Terzic. The final batch of cells that are administered back into the patients “express certain markers of cardiac differentiation,” says Homsy of Cardio3 Biosciences. The trial will track several outcomes, including exercise capacity and subsequent heart events, in addition to survival. CHOOSING THE BEST CELLS: In the search for an optimal cardiac cell therapy, researchers have delivered a variety of cell types with regenerative or reparative potential into the hearts of patients with heart damage. In most cases the cells are taken from patients, expanded in culture, and returned to them. 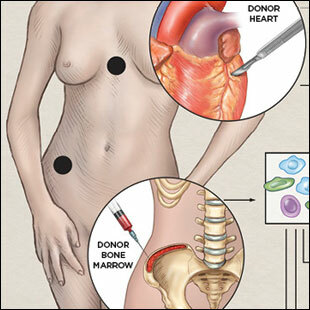 In a few cases, the cells have come from the bone marrow or hearts of donors. See full infographic: JPG© LAURIE O'KEEFEThe third trial, sponsored by Teva Pharmaceutical Industries, also involves selecting a subset of cells from the bone marrow: mesenchymal precursor cells, called CEP-41750 cells, which are thought to aid in tissue repair and stimulate blood vessel growth. In this trial, the researchers are using cells collected from donated bone marrow, rather than from the patients themselves, paving the way to creating an off-the-shelf product. Results from each of these trials are expected in the next one to two years. In the meantime, researchers are concocting even more refined versions of cardiac cell therapies, including the cells Anderson received, which are derived from donor hearts. Having yielded positive results in animal models and early-stage human trials, so-called “second-generation” cell therapies, employing other cardiac progenitor cells or select bone marrow cells, could replenish the field with fresh cell therapy approaches even if current Phase 3 studies fail. (See “Waiting in the Wings.”) But which cell type or combination of cells will prove the most effective in treating heart damage remains to be seen. 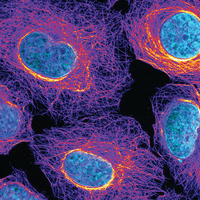 “I’ve gotten away from the notion there’s an optimal cell type. We believe we can enhance the [regenerative] effect through cell mixtures,” says Hare, who is launching a clinical trial to test a therapy that comprises both mesenchymal stem cells and cells taken from the heart. While early-stage research continues to hammer out which type of cell is optimal for repairing heart damage, a bigger question faces the field: Do cardiac cell therapies even work? Studies have found a range of results, from no benefit to substantial therapeutic effects, and research in the field has been plagued by a couple of high-profile scandals surrounding studies that made the biggest claims about heart regeneration. Chief among them has been the work of Bodo-Eckehard Strauer, a now-retired cardiologist from the University Hospital of Düsseldorf in Germany. In 2001, just four months after Anversa’s group published its success with administering bone marrow-derived cells to mice with damaged hearts, Strauer and his colleagues were the first to try the method on a human patient who had recently suffered a heart attack. Within a few months, they claimed, the patient’s heart damage was reduced and his cardiac function improved. For a number of subsequent trials, Strauer continued to report positive results, but the claims were questioned by researchers who noted problems with data reporting, and upon investigating Strauer’s work, the University of Düsseldorf concluded that there was evidence of scientific misconduct. Although none of Strauer’s studies have been retracted, the field has largely turned its back on his work. Authors of recent meta-analyses of cardiac cell therapies, for instance, have opted not to include Strauer’s reports. It has been a very long journey of one disappointment after another, where the clinical trial results have been less than overwhelmingly positive. The future of clinical trials on c-kit+ cells is unclear, with no immediate plans to start a Phase 2 study, Bolli says. In addition to the concern surrounding the Phase 1 trial, c-kit+ cells are at the center of the debate over the mechanism of action of cardiac cell therapies. While Anversa has published work that he claims illustrates these cells’ ability to generate substantial amounts of new cardiac muscle, a number of researchers have produced evidence disputing this. 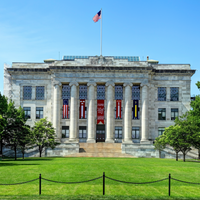 But even studies that haven’t drawn accusations of outright misconduct are riddled with problems, according to a recent review by Darrel Francis, a cardiology professor at the National Heart and Lung Institute at Imperial College London. Combing through 49 clinical trials of cardiac cell therapies, Francis and his colleagues exposed some 600 inconsistencies and reporting errors, including conflicts between figures and raw data, and impossible time lines—such as dead patients continuing to produce clinical data.4 Later, Francis’s team published a detailed list of problems with the report on Terzic’s clinical trial of a mesenchymal stem cell therapy, resulting in multiple corrections. Interestingly, the number of discrepancies Francis found in a clinical trial correlated with the reported benefit of the treatment: those that showed the greatest effect of the cells had the most problems, while the trials with the best reporting found little therapeutic benefit. Francis says that poring over the cardiac cell therapy studies has soured him on the approach, and he expects that none of the therapies currently being studied will pan out. Several other meta-analyses have also yielded cautionary results. A study published by Marbán and colleagues this year, for example, examined the results of 12 trials (not including Strauer’s) that injected cells—mostly extracted from the bone marrow, with one study infusing cardiosphere-derived cells—into the hearts of patients following heart attack, finding no overall benefit.5 But another meta-analysis of 31 clinical trials, from Mathur and colleagues, found a lower risk of dying or returning to the hospital for heart problems among heart-failure patients who received a bone marrow-derived cell treatment.6 Mathur and his coauthors point out, however, that the studies they analyzed carry a high risk of bias—some were not blinded, for instance, and others didn’t fully report patient outcomes. COURTESY OF CEDARS-SINAI HEART INSTITUTEIn a building across the street from Cedars-Sinai hospital in Beverly Hills, a researcher sits hunched at a fume hood, carefully slicing up cardiac tissue into thin sections. In his gloved hands are pieces of the heart of a young woman who recently passed away. Her donated organ made it here to a laboratory at Capricor Therapeutics, the biotechnology firm that is sponsoring the trial Ken Anderson is participating in. But her heart cells won’t go into patients. They will instead be used for preclinical research. One of the big questions the Capricor team would like to answer is which cells pack the most regenerative punch. 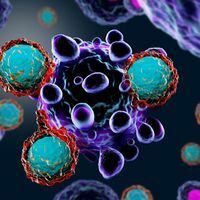 While researchers test the efficacy of bone marrow–derived cells in ongoing Phase 3 studies, waiting in the wings are alternative approaches that have shown promise in preclinical models or early-stage human testing. The cardiosphere-derived cells that Linda Marbán’s team is studying, for example, are shed by cardiac tissue when a sample is put in culture (the cells form spherical clusters, hence the name). When infused into 17 heart attack patients in a Phase 1 study, the cells caused a reduction in scarring and regrowth of heart muscle. “Conceptually, it put the wind in our sails,” says Eduardo Marbán. Although the treatment did not improve patients’ cardiac function, Capricor is moving ahead with two other cell therapy trials, both using allogeneic cardiosphere-derived cells. 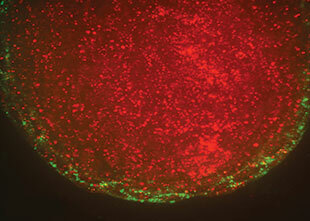 Another cell type derived from cardiac tissue, known as c-kit+ cells, has also shown promise in an early-stage trial. Like cardiosphere-derived cells, c-kit+ cells exhibit regenerative power when administered to the hearts of laboratory animals. And even further along in human studies are CD34+ endothelial progenitor cells isolated from bone marrow. Researchers showed that these stem cells can reduce chest pain and increase patients’ exercise capacity, and a Phase 3 study is planned. Preclinically, other cell types are stirring up excitement. 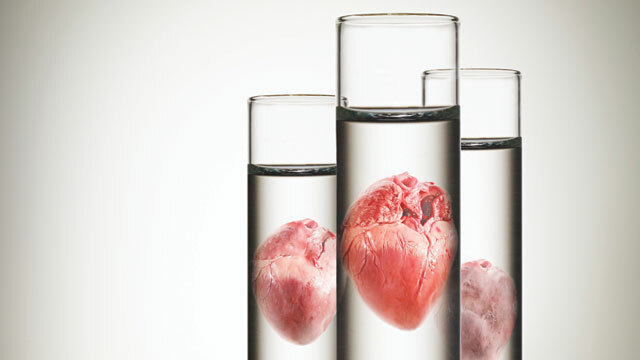 Charles Murry’s lab at the University of Washington, for instance, made a splash last year after using human embryonic stem cells to successfully regenerate cardiac tissue in the damaged hearts of monkeys (Nature, 510:273-77, 2014). In this case, no one disputes the regenerative capacity of embryonic stem cells, but some have cautioned that their safety has not yet been sufficiently vetted to try them out in humans. Jalees Rehman at the University of Illinois at Chicago says cell therapy patches lined with regenerative cells such as induced pluripotent stem cells or embryonic stem cells are another possible route to cardiac regeneration. If it turns out that the cells in clinical development aren’t differentiating into new heart tissue, but instead are providing the support needed for existing cardiac cells to ramp up repair—as many now believe—there is the possibility that acellular approaches could effect regrowth and repair, without dragging along unnecessary cellular baggage. To this end, Eduardo Marbán is testing out the utility of exosomes—little membrane-bound bubbles filled with proteins and RNA—in the lab. Other teams are looking to introduce growth factors, cytokines, or genes to induce the heart to fix itself. Correction: In the original version of this article we stated that BAMI is a double-blind study. It is actually an open label clinical trial. The Scientist regrets the error. D. Orlic et al., “Bone marrow cells regenerate infarcted myocardium,” Nature, 410:701-05, 2001. J. Kajstura et al., “Cardiomyogenesis in the aging and failing heart,” Circulation, 126:1869-81, 2012. Retracted. R. Bolli et al., “Cardiac stem cells in patients with ischaemic cardiomyopathy (SCIPIO): Initial results of a randomised phase 1 trial,” Lancet, 378:1847-57, 2011. A.N. Nowbar et al., “Discrepancies in autologous bone marrow stem cell trials and enhancement of ejection fraction (DAMASCENE): Weighted regression and meta-analysis,” BMJ, 348:g2688, 2014. M. Gyöngyösi et al., “Meta-analysis of cell-based CaRdiac stUdiEs (ACCRUE) in patients with acute myocardial infarction based on individual patient data,” Circ Res, doi:10.1161/CIRCRESAHA.114.304346, 2015. S.A. Fisher et al., “Meta-analysis of cell therapy trials for patients with heart failure—an update,” Circ Res, doi:10.1161/CIRCRESAHA.116.304386, 2015.